It’s time to beat the summer heat! 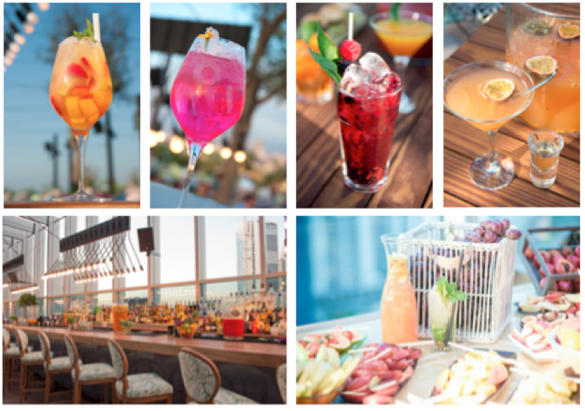 A pitcher-perfect summer awaits at Iris Dubai with an extensive selection of refreshing cocktails made with the season’s finest assortment of exotic fruits. Iris Dubai’s skilled mixologists will make sure you stay refreshed as you relax with a cocktail in hand and smooth chill-out beats in the background. Iris Dubai is the go-to spot for the post-work crowd with summer inspired cocktail pitchers, rich indulgent warm starters and a selection of fruits that are all perfect for sharing. Experience a pitcher-perfect summer every day from 6 to 8 PM with pitchers starting at AED 150 and we will have you reclining in that chair and soaking up some downtime, stat. *Iris Dubai also offers a Summertime Happy Hour every Sunday to Thursday from 6 to 8 PM to enjoy 50% off all beverages.